Looking For The Best Air Conditioning Service In Redfern? Our experts are trained in customer relations and there is always someone to respond to your concerns. We provide a free initial assessment and a free quote that gives you everything in writing, up front. Our professionals are trained and licensed to give you peace of mind. From the moment you make contact to when you receive your service, you are treated with respect. We have the best experts and the best equipment and parts to make sure you get the best. Located about three kilometres away from the central business district on the south, Redfern is a suburb that prides itself on being a cultural melting pot of nationalities. The area has seen extensive re-development in recent years with more people moving there than ever before. The increase in population has helped to grow the economy of the suburb. The commercial developments in the area have centred on service businesses such as boutique shops, restaurants, and cafes. Apex Airconditioning has been meeting the needs of this suburb for 15 years. Air conditioning in Redfern for commercial buildings has been about improving the reliability of the assets, and not just the initial installation. Business people have called on us to maintain their plans and to customise their energy systems for comfort and efficiency. We have come to be known and called upon by anyone who wants to improve the quality of their indoor air. Our team at Apex Airconditioning is dedicated to giving our customers the best service possible. We offer transparency from the time a client approaches us to when we complete the project and accountability from there onwards. 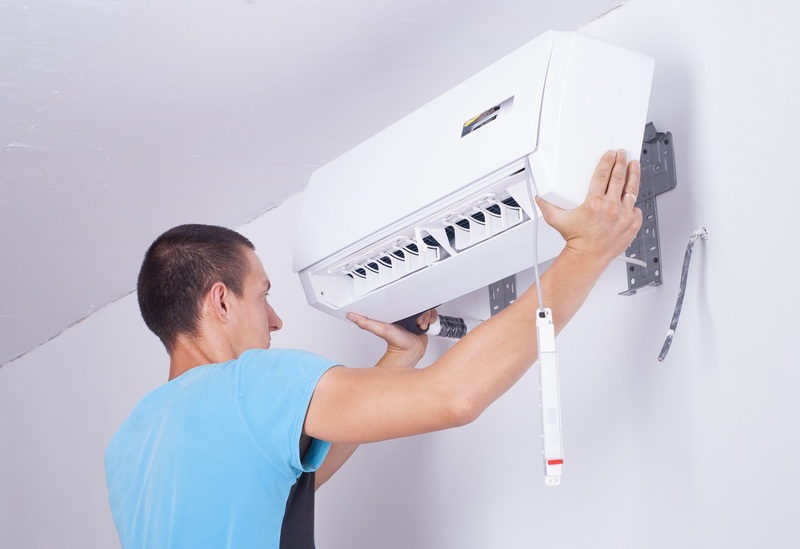 Our experts in air conditioning in Redfern also commit to managing your existing assets. They can assess the condition of your assets, predict replacement and let you know the costs of maintenance so that you can make your budget. The Apex Airconditioning team will work on minimising the downtime of your HVAC system and help you to plan to get the maximum productivity. When you pick Apex, you are choosing a service backed up by experts with over 20 years in the industry. The experience of our technicians in air conditioning installation in Redfern allows us to easily handle large projects like those in hotels, multi-store buildings, and hospitals. Many people in Australia have started to shift to systems that are environmentally friendly. This includes everything from instituting customer relations management systems so as to get rid of paper and air conditioning. Time has seen HVAC systems shift in that direction too and this is something Apex can help you with. If you want air conditioning installation in Redfern that is green, you can have our experts at Apex come in. We can help you to determine the equipment changes you will need to make. We can also suggest efficient units to make sure that the running costs are the least they can be. If you are looking to get a HVAC unit that has sensible loads and still supplies the office, Apex can help with that too. The loads will be calculated based on the size of the unit and your cooling and heating requirements. We can also help you if you are looking to install radiant ceilings, low energy-efficiency measures, and displacement ventilation. Whether you run a retail shopping centre, a hotel, a supermarket or a fitness centre; if you are looking to upgrade to an eco-friendly unit, or want to get air conditioning in your Redfern business, contact Apex Air-conditioning. Our technicians have training in all aspects of the trade. They can look at your situation and recommend the way forward.